Amsterdam Centraal Station is the place most tourists find themselves when they arrive in the city of Amsterdam. With access to international trains, regional trains, trams, buses, and ferries, knowing where to go to catch the type of transportation you need is half the battle. 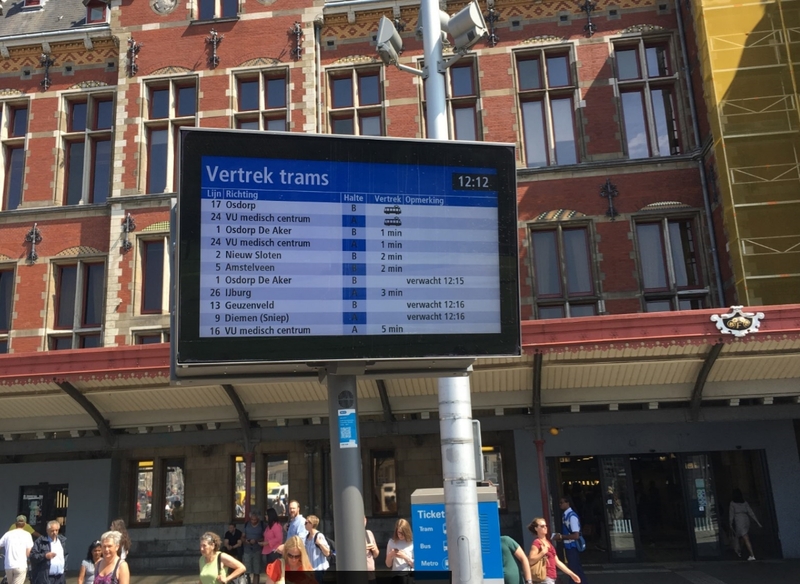 Here is a simple guide to Amsterdam Station that will help you get to the right place for the transport option you need. There are several entrances and exits to Amsterdam Centraal Station, so it is easy to get lost. Most people will arrive and come down a set of steps into a long main corridor. There are several of these long corridors that run parallel to each other in the station to allow access to the different ends of the long train loading platforms. Once you walk down the steps and into the main corridor you need to orient yourself using the signs. The train tracks run sequentially from the front of the station, so that means walking toward lower numbers means you are walking towards the front, and walking and seeing track numbers get higher means you are walking towards the back. So if you come in on track 7, and start walking in the main corridor and the next track you see is track #5 or Track #6, you are walking towards the front of Amsterdam Centraal. If the next track you see walking along is Track #8 or Track #9, you are walking towards the back of the station. As you can see, it shows where each tram and bus platform is located in relation to the station. 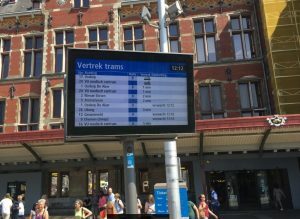 Once you get to a station platform you will see monitors that list the arrival times and track for each tram or bus. Here is an example of the one at TRAM STATION A. So now all you need to know is where you want to go and which tram, bus or ferry to take to get there. To make it simple for you, below you will find a list of all the major museums, attractions, theaters, and parks in Amsterdam. The table will tell you what platform to go to and what tram, bus or ferry to take to the destination. Many destination have more than one option, so you can choose the next available tram or bus. Openbare Bibliotheek – Library WALK – 500 meters Walk to the left toward Double Tree Hilton. It is just past it. 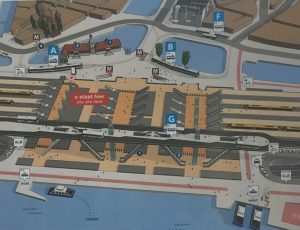 Hopefully this Amsterdam Centraal Map & Guide makes life a little easier when you arrive at Centraal for the first time. 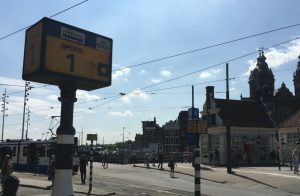 Now that you are familiar with the layout and what to look for, just follow the signs and you will be off to your Amsterdam attraction within a matter of minutes. Enjoy your time in Amsterdam!